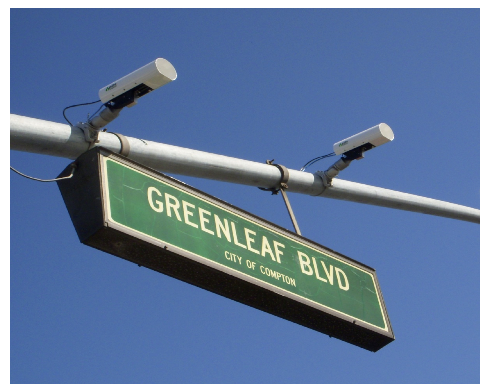 On Friday, EFF and the ACLU of Southern California filed the opening brief in our lawsuit against the Los Angeles Police Department and Los Angeles Sheriff’s Department for information on how the agencies are using Automatic License Plate Readers (ALPR). We argue the departments are improperly withholding these records, keeping important information about this invasive surveillance technology from the public. Both EFF and the ACLU have argued that ALPRs—high-speed cameras mounted on poles and patrol cars that record every passing vehicle’s license plate, along with time, date and location—raise serious privacy concerns because the location data they collect reveals a great deal of personal information. We have also argued, though, that the only way to have an informed public debate about appropriate limits on ALPRs is through greater transparency about how the technology is actually being used. This is why we’ve asked for a week’s worth of data collected by all of LAPD and LASD’s ALPR cameras, in addition to policies and procedures on how the agencies say they’re using the technology. It isn’t possible to know what police are really doing until we have at least a representative slice of the data they collect. While law enforcement agencies in Los Angeles are trying to keep a lid on the data, it’s no secret that police use of ALPRs has exploded in recent years. A September 2009 survey reported that 70 of 305 randomly-selected police departments nationwide (23 percent) used ALPRs. A 2011 survey of more than 70 police departments showed that 79 percent used ALPR technology and 85 percent expected to acquire or increase use in the next five years. On average, these agencies expected that 25 percent of police vehicles would be equipped with license plate readers by 2016. Already many agencies have created massive databases that record the travels of millions of drivers in a city, region or state. According to the LA Weekly, LASD and LAPD “are two of the biggest gatherers of automatic license plate recognition information,” logging 160 million data points, an average of 22 scans for every one of the 7 million vehicles registered in Los Angeles county. Agencies also share data, so that, for example, LASD can query license plate data from 26 other police agencies in Los Angeles County and is working to expand its reach to Riverside and San Bernardino counties. Without proper safeguards, ALPR technology can harm privacy and civil liberties. A network of readers enables police to collect extensive location data on an individual, without his knowledge and without any level of suspicion. ALPRs can be used to scan and record vehicles at a lawful protest or house of worship; track all movement in and out of an area; specifically target certain neighborhoods or organizations; or place political activists on hot lists so that their movements trigger alerts. In U.S. v. Jones, Supreme Court Justice Sonia Sotomayor noted the sensitive nature of location data and the fact that it can yield “a wealth of detail about [a person’s] familial, political, professional, religious, and sexual associations.” Taken in the aggregate, ALPR data creates a revealing history of a person’s movements, associations, and habits. 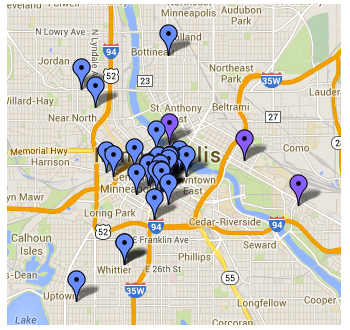 Public records requests like ours are having an impact on police use of ALPRs. In Minneapolis, the Star Tribune story about ALPR technology began with a public records request and led to a debate about policy changes on data retention, with legislators recognizing the privacy interests implicated by ALPR data collection and advocating for an end to law enforcement retention of location data on non-criminals. Similarly, after a public records request revealed that the Boston Police Department was misusing its ALPR technology, the Police Department “indefinitely suspended” its ALPR use. So far, at least six states—Vermont, New Hampshire, Utah, Maine, California and Arkansas—have laws limiting how ALPR is used, and legislators in at least five other states—including Wisconsin, Massachusetts, and Michigan—have recently introduced bills that would limit ALPR use. Some of this legislation—like New Hampshire’s, which bans police and private companies from using license plate readers, and the proposed legislation in Michigan, which would limit the retention of license plate numbers to no longer than 48 hours—are really good. But other legislation—including Vermont’s, which allows ALPR data retention for 18 months and new proposed legislation in California, which places no limits on ALPR use for the vast majority of law enforcement agencies in the state—have their problems. The very real risks to privacy and civil liberties posed by ALPR require public understanding of how police departments use this technology. Without public access to information about how ALPR technology is being used, the very people whose whereabouts are being recorded cannot know if their rights are being infringed nor challenge policies that inadequately protect their privacy. We will continue to push for records in this case and to encourage legislatures to pass legislation—like Michigan’s and Massachusetts’—that has teeth and provides meaningful limits on the collection, retention and sharing of license plate data. Our brief and accompanying declaration and exhibits are below.